Trappers rendezvoused here at the Grand Encampment in 1851. The name (at least part of it) stuck when the copper boom led to the official town organization in 1897. 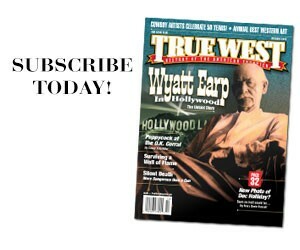 Encampment still celebrates that history, particularly through its annual Sierra Madre Muzzleloaders and Mountain Man Rendezvous, its Copper Days Festival and its Grand Encampment Cowboy Gathering and Living History Days. Besides, our own Candy Moulton lives here (and wrote about it in her book, The Grand Encampment: Settling the High Country). South Fork is probably the smallest (population 600) and youngest (incorporated in 1992) town in Colorado. But the area has a more than 130-year history, mostly in ranching and logging. Tourism is now the draw, especially for the surrounding and spectacular Rio Grande National Forest and San Juan Mountains. 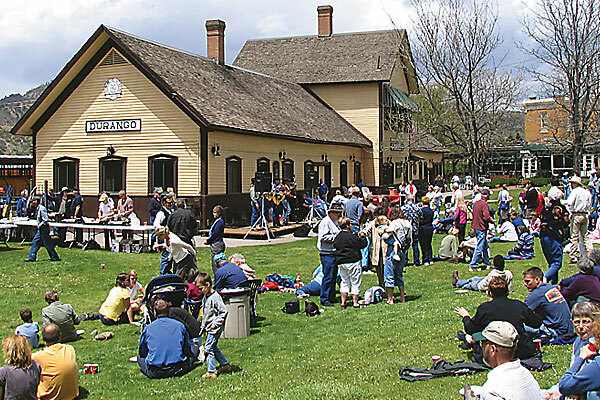 Folks will find plenty to see in South Fork, too, including the 1893 railroad depot, which is the new home of the local museum. Florence was #2 among our 2010 Top Towns. Yet one of the town’s major attractions—the 1878 adobe First Pinal County Courthouse—remains closed for stabilization (although the town is working hard to help the state reopen it). Folks are still doing good work here, as the Main Street Program provided matching grants to help improve facades of three downtown properties in 2010. Beaumont dates back to 1838, but the town took a huge step forward in 1901. Oil was found at Spindletop, the nation’s first oil field. The population jumped from 9,000 to 30,000 in the first three months of that year. Beaumont’s oil heritage is celebrated by the Black Gold Trail, which includes several museums—all renovated in recent years. Also check out the 1845 John Jay French Museum, a historic home that chronicles pioneer life in east Texas. Yuma is best known as the home of the 1876 Arizona Territorial Prison, where folks like Buckskin Frank Leslie did time. Fifty years ago, it became a state park—until government financial woes threatened to shut it down in 2010. But volunteers (calling themselves the Chain Gang) raised $70,000 in 60 days, allowing the Yuma Crossing National Heritage Area to take over the operation of the prison. Improvements have been made since then, and the cell doors are back open for visitors. Starting in 1920, the construction of St. Joseph Apache Mission took nearly 20 years. The Catholic Church was ready to shutter it about 15 years ago, but volunteers stepped in and have been restoring the mission ever since. More than $1.6 million has been raised (and spent). More than 20 local youth have received job training to work on the project; those skills are then used to get them jobs. The mission (which also serves as a veterans memorial) is a remarkable community effort. By the time you read this, the Cherokee Strip Regional Heritage Center should be a reality. The result of a five-year, $8 million effort, the center more than doubles the size and capabilities of its predecessor, and features additional exhibit and research space. It preserves the only remaining 1893 Oklahoma Land Rush office as well as an early 1900s church and school, and a refurbished Victorian home. The heritage center promises to be a landmark in northwestern Oklahoma. The folks of this town of 700, located in west central North Dakota, have been working for 30 years to restore the Hutmacher Farm. This 1928 structure is made of dirt, brush, stone and several types of wood. In 2010, volunteers repaired the roof using an ancient Hopi Indian process. One sad note: the leader of the project, noted North Dakota preservationist Dale Bentley, died in 2010 at the age of 41. The Cosmopolitan Hotel, a building dating back to 1827, was back in business last July. The fixture in San Diego’s Old Town State Park was first used as a hotel in 1869 and took in guests until the state bought it in 1968 (when it became a restaurant). 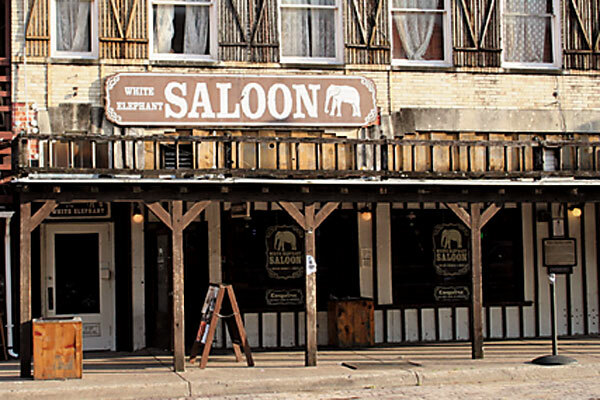 A two-year, $7 million renovation project resulted in a revamped 10-room establishment, a seafood eatery and a saloon that features an 1870s bar once used in Tombstone, Arizona. The old is new…. Following John Wesley Hardin Across Texas From Bonham, Texas, to El Paso, Texas. 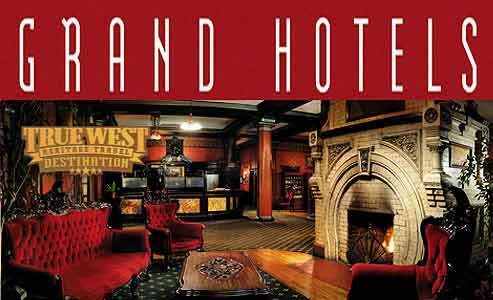 Grand Hotels of the West Paying tribute to an American invention.